Lucas Paqueta is ready to take on the responsibility of Brazil's famous 10 shirt after taking the squad number in the absence of the injured Neymar. With Neymar injured, AC Milan midfielder Paqueta has been handed Brazil's most prestigious jersey, even though he is yet to make an international start, having come on as a substitute in both of his appearances for the national team so far. But the 21-year-old, who joined Milan from Flamengo in January, is not overwhelmed by the prospect of wearing a shirt previously occupied by some of Brazil's most legendary players. "Wearing the 10 shirt of Brazil will be a sensation that I will have for the first time," Paqueta told a news conference. "I know my responsibility. I hope to help the team. Ronaldinho, Pele, Zico. So many players have already worn this shirt. Today I have the opportunity and I hope to do my best to meet those expectations. "The 10 shirt has a big weight. But the Brazil shirt has its weight. They are five stars. No matter the number." 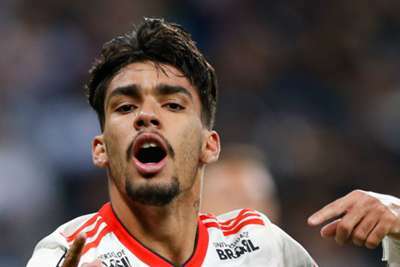 And Paqueta believes that the successful switch to Italy is a major factor in his confidence that he can take up the onus of becoming Brazil's playmaker. "This is a very good time for me," he added. "Of course I still have to adapt, improve. "I'm happy to be part of this evolution of the team. Milan gave me full support and prepared me for this moment. I always want to be playing and I come here 100 per cent to help and give my best. "The tactics of Brazil and Milan are similar. In Milan, I play by the left wing, the position I like. Here are great players, and Tite gives me the freedom to play."